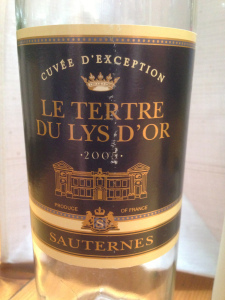 I have had some very good bottles indeed of the Le Tertre du Lys D’Or, but regrettably the 2005 vintage (a very good vintage in Sauternes) is not one of them. Agree. Loved the 2001 and then was offered this and thought 'meh'. Havent seen any other vintages.